2019 Ram 1500 Big Horn/Lone Star granite crystal metallic clearcoat BACKUP CAMERA, 4X4, HEATED SEATS, CARFAX 1 OWNER, CLEAN CARFAX, SIRIUS / XM RADIO, CERTIFIED, LOW MILES, REMOTE START, HEATED SECOND ROW SEATS, BLUETOOTH, PROFESSIONALLY DETAILED, HEMI V8! !, HEMI 5.7L V8 Multi Displacement VVT. CARFAX One-Owner. Clean CARFAX. Certified. Priced below KBB Fair Purchase Price! Odometer is 1917 miles below market average! * FREE CAR WASHES *, * CARFAX ONE OWNER *, * CLEAN VEHICLE HISTORY *, * REMAINDER OF FACTORY WARRANTY *, * REMOTE START *, * HEATED SEATS *, * SATELLITE RADIO *, * LOW MILES *, * LEATHER SEATS, * POWER SUNROOF *, Fusion Titanium, EcoBoost 2.0L I4 GTDi DOHC Turbocharged VCT, Auto High Beams, BLIS w/Cross-Traffic Alert, Fusion Titanium Driver Assist Package, Heated Steering Wheel, Lane-Keeping System, Power Converter 110V Outlet, Rain-Sensing Wipers, SYNC Connect. Here at Spitzer Chevrolet we make the car buying process as simple and efficient as possible for our valued customers. With every purchase you will receive outstanding customer service from our professionally trained staff as well as complimentary car washes for the life of the vehicle. We're happy to assist you with all your automotive needs, so come in and see us today and join the Spitzer family! CARFAX One-Owner. White Gold 2017 Ford Fusion Titanium FWD 6-Speed Automatic EcoBoost 2.0L I4 GTDi DOHC Turbocharged VCT Odometer is 19090 miles below market average! 21/31 City/Highway MPG Awards: * 2017 KBB.com 10 Best Sedans Under $25,000 * 2017 KBB.com 10 Most Awarded Brands * 2017 KBB.com Brand Image Awards Join the Spitzer family today! 4 Generations of family owned & operated dealerships across Ohio and surrounding states. We have a large New and Preowned Inventory with 14 Convenient Locations. Great People and a no pressure environment! 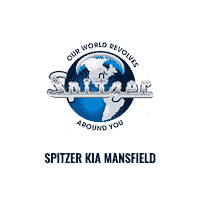 At Spitzer our world revolves around you!